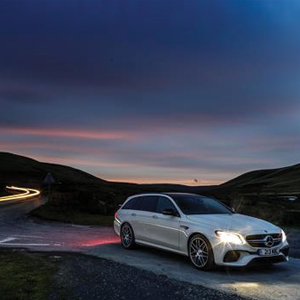 BBC Top Gear magazine has named the Mercedes-AMG E 63 S Estate as its ‘Estate Car of the Year’, in its annual BBC TopGear Magazine Awards. The 612 hp E 63 S Estate, which perfectly combines ultimate driving performance and class-leading practicality, was hailed by the judges as ‘being no ordinary estate car’. The E 63 S Estate features AMG’s innovative newly-developed 4MATIC+ all-wheel-drive system, combining the advantages of various drive configurations. Torque distribution on the front and rear axles is fully variable – making it easier to make full use of the car’s potential in all conditions. The E 63 S also comes with Drift mode, for use on the track, which makes the car rear-wheel drive.